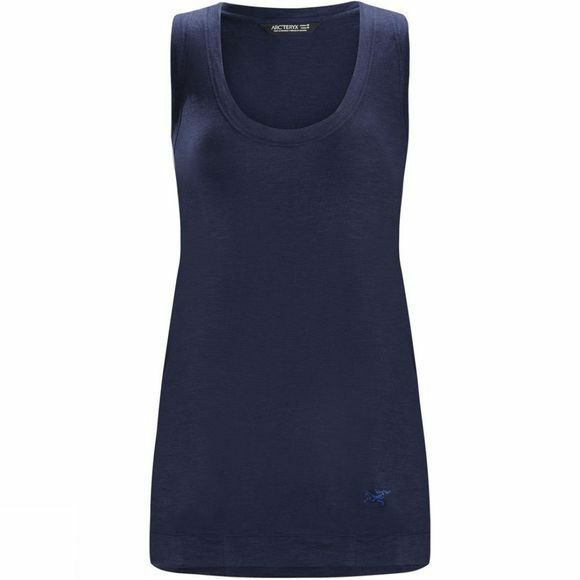 Lightweight and versatile, the Pembina is a tank that can be worn on its own or as a layering piece. Made from Bornaâ„¢, a cotton/modal slub knit jersey, the Pembina is exceptionally soft and flows with the body. The fit is loose and easy, but has shape and structure, and the wider straps at the shoulders provide coverage over a bra. The longer length has a gently gathered hem that wears perfectly with jeans or chinos for casual warm weather days. Its versatile style and cool comfort make it great for summer travel.